At the beginning of 2016 Lexi was 25, 485lbs and fed up of feeling like a prisoner in her own body. She knew that if she didn’t get her health in order she may not see her 30th birthday. She set herself a new years resolution to lose weight with no personal trainer, no personalized meal plans or plans for surgery. Two years later and Lexi has lost over 312lbs through healthy eating, exercise and a motivation to reach her goals! She documented the whole process through her Instagram @fatgirlfedup and knew that through social media she had the opportunity to not only keep herself motivated but also to inspire hundreds of other people and soon enough Lexi had almost 700k followers! 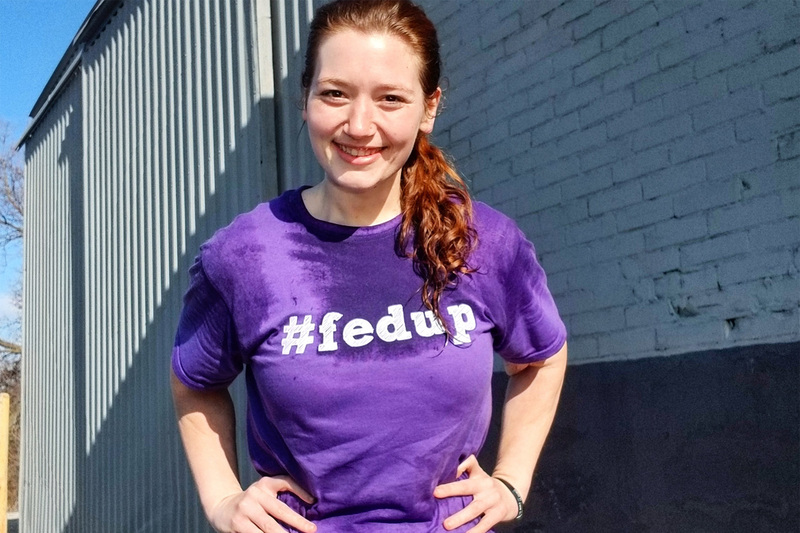 Lexi turned to Teespring to help her unite her community together with her own line of #fedup merchandise. With sizing options up to 5XL Lexi knew that Teespring would be able to help motivate others through their weight loss journeys while using her own designs to make sure they looked stylish and confident while doing so! Over the course of just three weeks Lexi had sold over 1000 items to people all over the world, and the number is still rising! So what’s next for Lexi? We feel you Lexi! You go girl! Start selling with Teespring today!